Hello All, hoping everyone is enjoying the weekend. I'm sure everyone is calming down from the holidays and settling in the New Year... I certainly am. Thought I'd take a moment, while my black charcoal face mask cures and as my recently washed make-up brushes dry to share my love of activewear, versatility & sewing challenges. 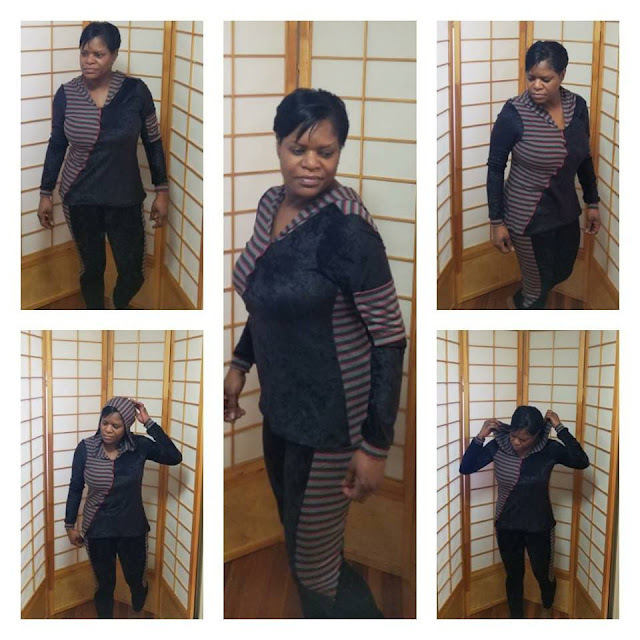 I started a year ago, sewing my activewear. 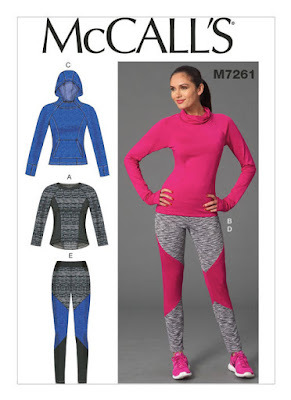 It was borne out of my old activewear finally succumbing to years of wear & tear and the few new items I'd purchased showing loose threads and popped stitches. Natural thing to do as a sewista, make your own. Of course, there was trial & error in the process of creating them, baggy knee syndrome, loosey goosey neckline, too tight waistband and so forth. 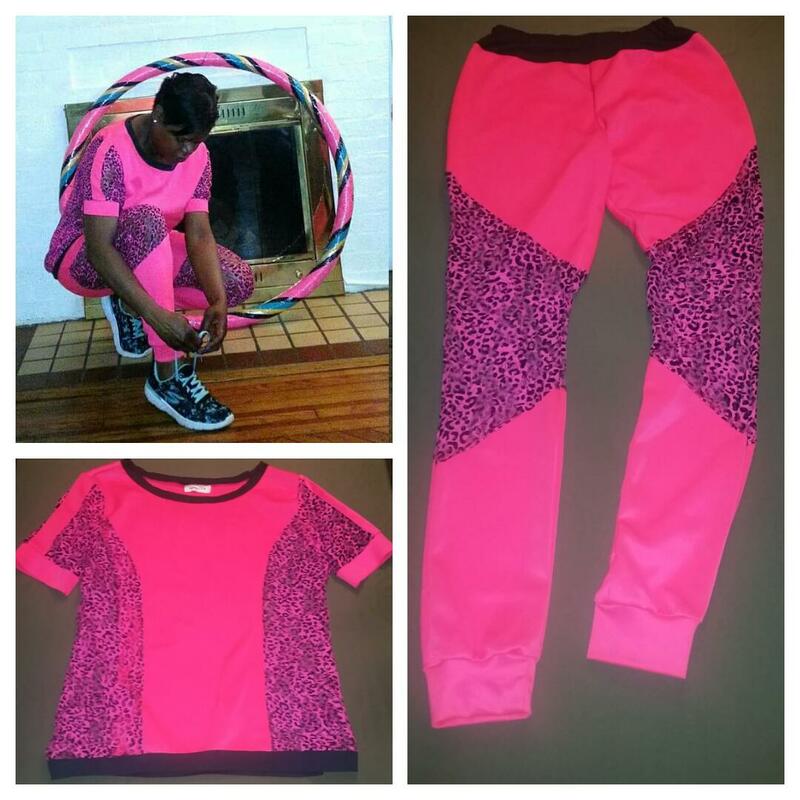 However, I pressed on and have tweaked the fit and so far have been successful with my lil activewear collection. M7261 is my all time favorite and has become a tnt. 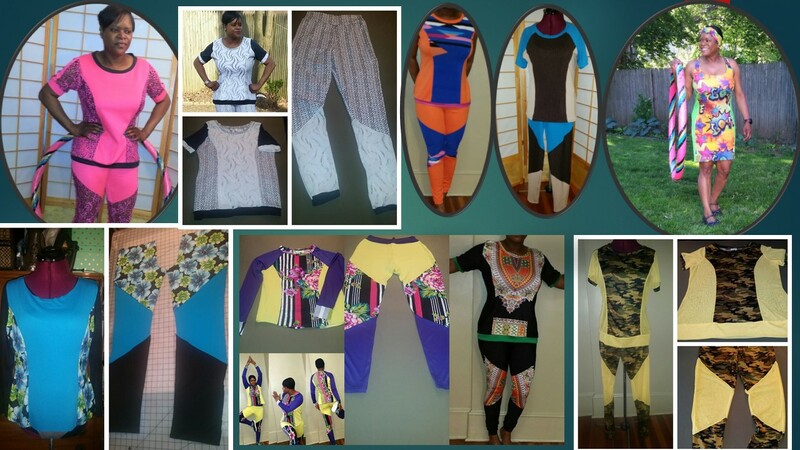 I've also used pajama top patterns, as well as traced off existing activewear to create a few pieces. 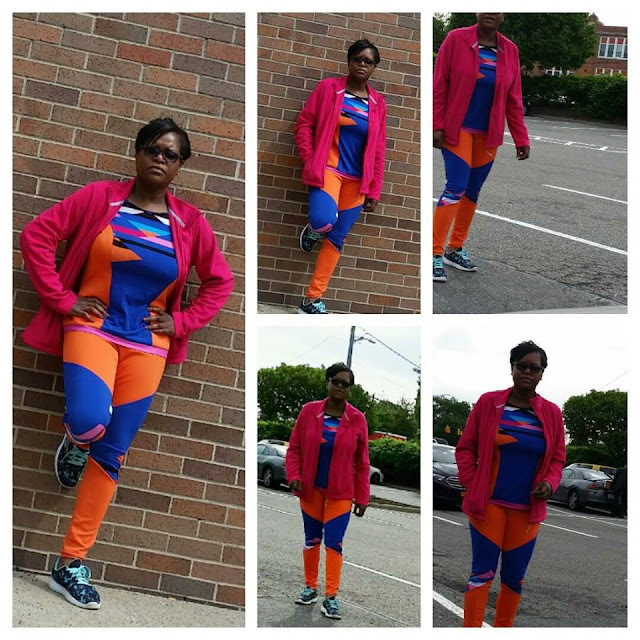 What I've come to love about sewing my activewear is the motivation it gives me to workout and the use of colors to heighten it. Also my activewear is versatile, with all of the fabric being knit may it be 2way or 4way, its comfortable enough to lounge in and perfect for on the go, may it be to the grocery store, library, post office or any quick errand. With time I've come to learn that not all knits are alike, and my sewing arsenal of machines taught me. 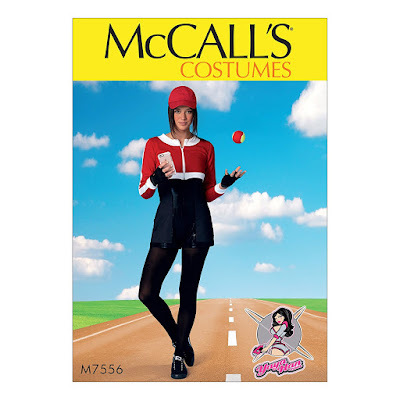 Most of my activewear are sewn on my brother serger. 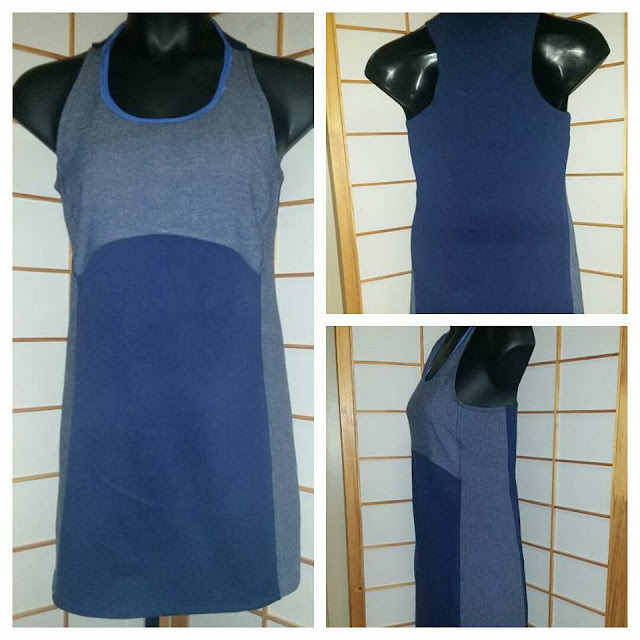 Some knits that are paired with stretch lace or mesh lace behave better with my kenmore sewing machine with zig zag stitches and finished off with my kenmore serger. Other makes have faired better with my janome coverstitch. So I have come to test the fabric before going full throttle with my project. Also, I have to play musical threads, some of my machines like regular thread when sewing knits, another may prefer stretch maxi lock in the bobbin and regular thread on top, and the other prefer a combo of serger thread & wooly nylon. Oh I can't forget, there is also the needle issues. My kenmore serger prefers sewing machines needles instead of overlock needles, the Janome coverstitch only likes schmetz 90/14 needles, brother serger, which is approaching a year old has the original needles it came with. With all that said, I at times have to swap out needles according to my machine behavior and the knit I'm sewing. Calling for constant fabric/needle/thread checking before diving into my project. Although, I have all the dos & don't of when sewing activewear, I still run into issues, but as with anything... sh*t happens. Like this project, I like to call it crushed velveta. When I pretreated the fabric I had a bunch of fluff stuck to the bottom of my washing machine, then when I dried it there was fluff making an exodus from the dryer. I was like what the samhell is this. However, I always like a challenge and pressed on with sewing it up. The fabric used was a black crush-like velvetsomethingorother from walmart for $1.50/yd and the stripe remnant from Family Fabric @ $8.99/yd. Honestly, the pair sewed well together, however, the fabrics did not take to decorative zig zag stitch, yielding a ripple catastrophe. Then I added insult to injury by pressing the hell out of the top to smooth the ripples and obliterating the color and texture of the crushed velveta fabric. However, the fit was comfortable and makes for comfy loungewear. 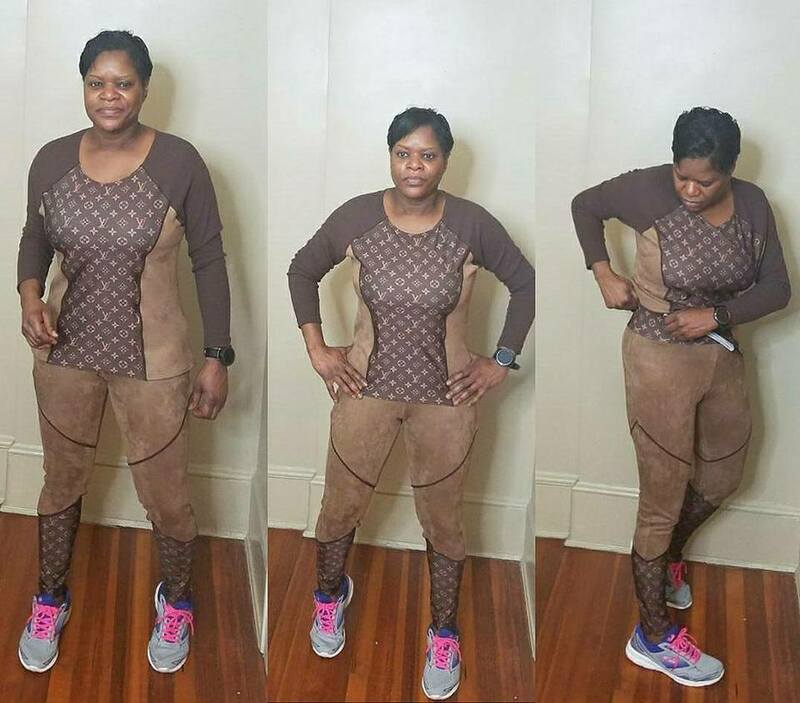 Off to figure out my next activewear venture. 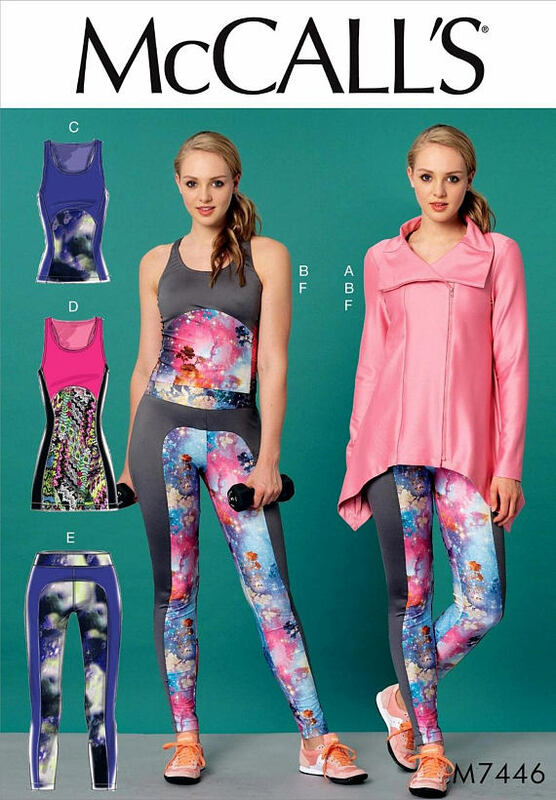 You took the patterns, fabrics and the technique from Sheila university of "make it work" to the MAX and you create a colorful and diversified workout wardrobe. Awesome! Thank you Alethia !! Lol.. Sheila university... you know me so well. You have an amazing knack for fabric combinations. Thanks for sharing your favorite patterns!